Government has released US$60 million towards procurement of fuel to mitigate current shortages, a situation that had seen the emergence of unscrupulous fuel dealers charging more than double the gazetted pump price. Long winding queues could be seen at filling stations in Harare’s central business district yesterday as fuel tankers made deliveries. Information, Publicity and Broadcasting Services Deputy Minister Energy Mutodi said the availed funds would improve supplies considerably. Zimbabwe needs $20 million worth of fuel every week. “Government has released some funds towards alleviating the current crisis which, however, will require constant monitoring as the US$60 million released will only last three weeks given the country’s US$20 million per week fuel requirement,” said Minister Mutodi. Earlier, Energy and Power Development Minister Joram Gumbo had indicated that fuel supplies had arrived in Msasa but required foreign currency payment to be accessed. Minister Gumbo, who had just arrived from a business trip to Mozambique, could, however, not reveal more information, saying he needed to get fuller details from the acting minister. 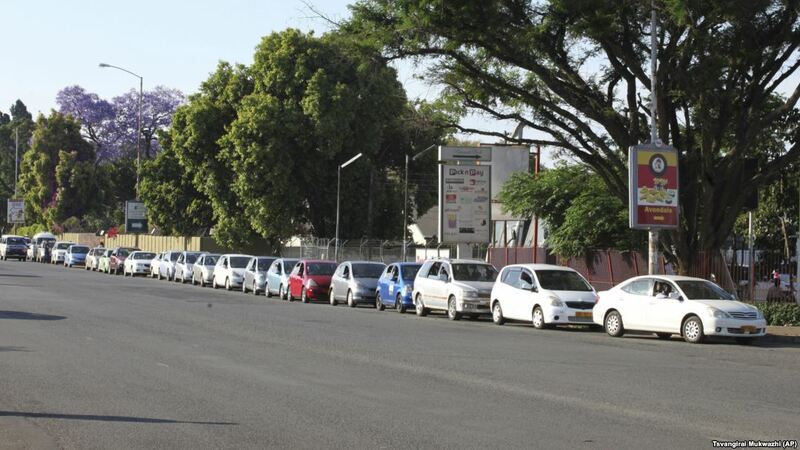 The unavailability of fuel in recent days had also seen commuter omnibuses hiking fares by almost double while fuel dealers were charging about $15 for five litres of petrol and $12 for five litres of diesel. Meanwhile, Government has approved the current level of mandatory fuel blending to 15 percent. This was announced in a Government Gazette published yesterday under the Petroleum Act [Chapter 13:22]: Exemption From Levels of Mandatory Blending of Anhydrous Ethanol with Unleaded Petrol. “It is hereby notified in terms of Section 4(1) of the Petroleum Mandatory Blending of Anhydrous Ethanol with Unleaded Petrol) Regulations 2013, published in Statutory Instrument 17 of 2013, that the Minister of Energy and Power Development approves the current level of mandatory blending to 15 percent. “The consequences of this approval is that all licensed operators shall from the date of publication of the general notice be mandated to sell unleaded petrol blended at E15,” read the SI. In the Extraordinary Gazette, Government also announced customs duty on imported fuel with effect from today. “This notice maybe cited as the Customs and Excise (Tariff) (Amendment) Notice, 2018 (No. 5). This notice shall come into operation on 1st December 2018. Part 11 of the Second Schedule of the Customs and Excise (Tariff) Notice, 2017 published in Statutory Instrument 53 of 2017 is amended by the repeal of the following; leaded petrol and unleaded US$0,385 per litre for quantity of a kilogramme, cubic metre square or litre.